If while connecting to a Internet on a Windows 10 PC, you get the error saying Can’t connect to this network, you do not need to worry as with the help of this article you can easily fix this error. Just Follow the Fix Given below. 2. 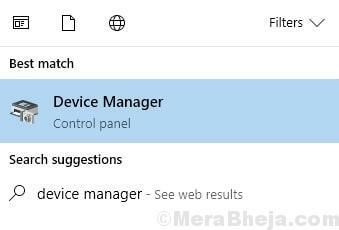 Now, Click on Device Manager to Open Device manager. 3. Now, Expand Network Adapter by Clicking on it. 4. Now, Right Click and Uninstall the driver which you are using. 5. Now, Restart Your Computer. Windows 10 Will automatically reinstall the best Driver for your PC. 1. Press Windows Key and I Together to Open Settings. 3. Click on Network Reset to Reset your Network. 1. Search CMD in Windows 10 Search bar. 2. Now, Right Click on the Command Prompt and Choose Run as Administrator. 3. Once the Command Prompt Window Opens Up, Run the Commands Given below One By one. 4. Close the Window and Reboot your Computer. 1. If you are using WiFi then right Click on the WiFi and Choose forget. 2. Now, Reboot your PC. 1. 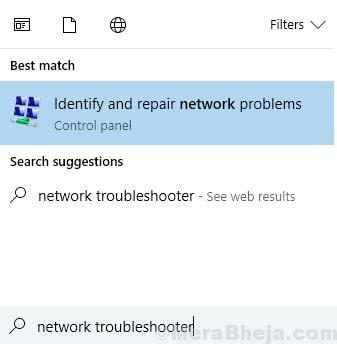 Search Network Troubleshooter in Windows 10 Taskbar Search. 2. Click and Run Windows Network Diagnostics Troubleshooter. 3. Follow On Screen Instructions. 4. 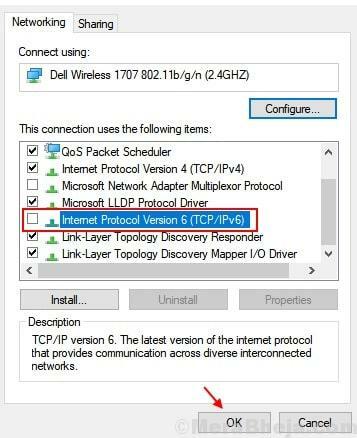 Now, Right Click on your Network Adapter Driver which you are using and Click on Properties. 7. Set the Value to Disabled. 1. Press Windows Key + R together to Open RUN Command Window. 2. Now, Write ncpa.cpl and Click OK.
3. Now, Right Click on your Network and Choose Properties. 4. Uncheck Internet protocol Version 6.